The Content Library manages, stores and accesses Maps, Creatures, Items, and Handouts. This library houses all of the maps that you have created or imported into your game. The maps are shown in a table which can be searched by keyword or sorted by map or module name. 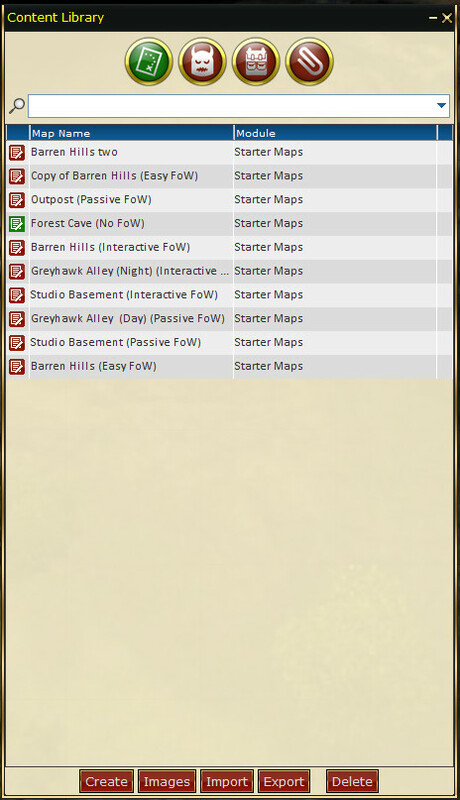 The buttons at the bottom allow you to manage or add to your map library. 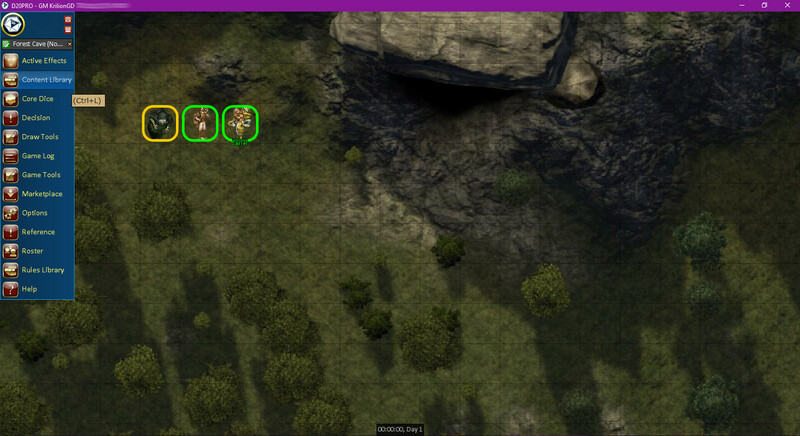 You do not have to create your maps in d20pro. In fact, most of the time you might find that it's necessary to use pre-made maps from modules or create them yourself using various software such as GIMP or Photoshop. 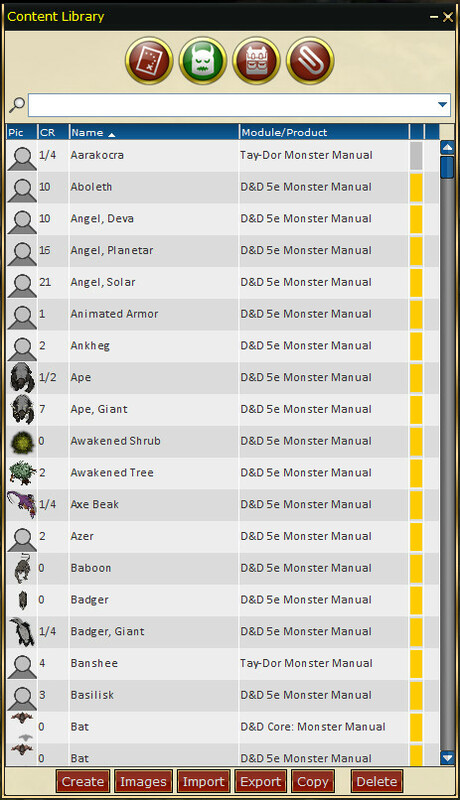 Once you find them or create them, importing them into d20pro is a fairly basic process. Please see GMGuide/Maps for full details on maps. The creature library is where the Judge stores creature templates in a table for future use. At the top of the window is a search box that dynamically searches for words or fragments. Creatures can be sorted by clicking on the table headers: Name, or Module. Please see GMGuide/Creatures for full details on Creatures. 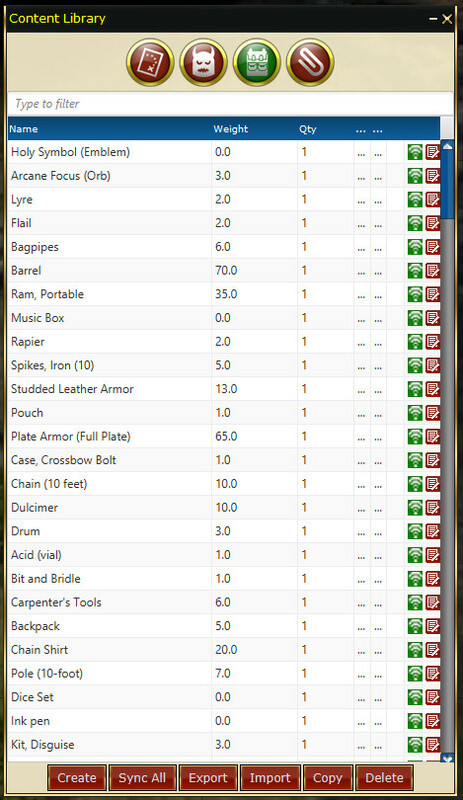 The item library is where you can create or delete items for use in the Creature's Item list, or you can place items on the map for players to use their creature to pickup and place in their inventories. Please see GMGuide/Items for full details on Items. This library allows you to store and manage handouts for players. 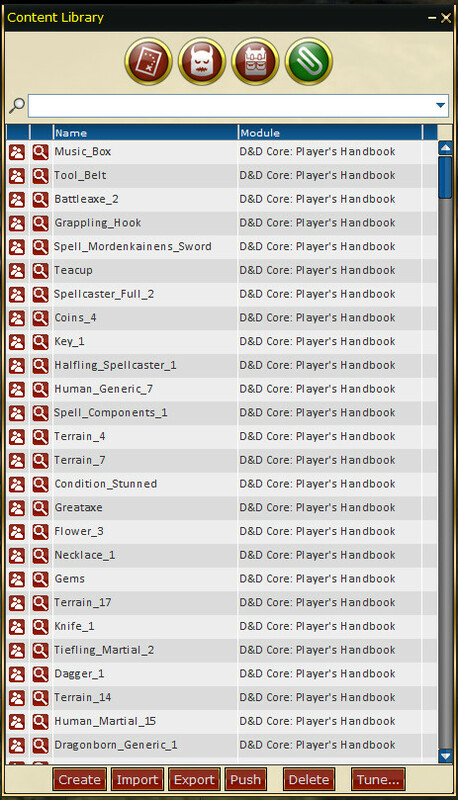 You can add files by URL or by uploading directly to d20pro. 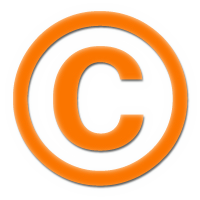 Currently supported files include JPG, JPEG, GIF, PNG, PDFs, and hyperlinks. Handouts are perfect for clues, notes, and scenes that you want to share with your group. Handouts are temporary and do not permanently reside on the players' computers. This allows you full control over their accessibility and allows you to temporarily share files with players. You can revoke access at any time. You can dynamically search all handouts using the search function. Please see GMGuide/Handouts for full details on Handouts.